Peoples Democratic Party’s (PDP’s) National Secretary Prof. Wale Oladipo has appealed to Vice President Yemi Osinbajo (SAN) to be allowed to refund the N75 million he received from ex-National Security Adviser (NSA) Mohammed Sambo Dasuki. Oladipo’s request is contained in a letter to the Vice President in which he sought to be excluded from prosecution. Prominent Nigerians, including Raymond Dokpesi and ex-Director of Nigeria National Petroleum Corporation (NNPC) Aminu Baba-Kusa, were charged to court for allegedly diverting billions of naira belonging to the Federal Government under the guise of fighting Boko Haram. The existence of the letter by Oladipo was confirmed in the suit he filed at the Federal High Court, Abuja, through his lawyer Babs Akinwumi. He is seeking to, among others, restrain the attorney general of the federation (AGF) and four others from arresting, detaining and prosecuting him. Oladipo also seeks to restrain the Economic and Financial Crimes Commission (EFCC), the Independent Corrupt Practices and other related offences Commission (ICPC), the inspector general of Police (IGP) and the Department of State Services (DSS) from holding him. 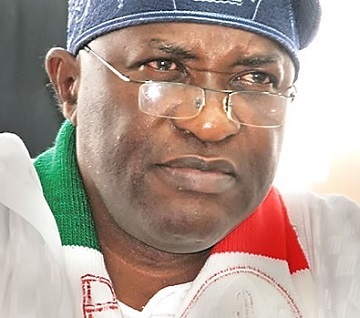 The PDP national secretary, in a supporting affidavit, said he wrote the Vice President on his intention to refund the money he received from the Office of the NSA, without knowledge that it was proceed of unlawful dealings, with the understanding that he would be shielded from prosecution. Oladipo, who claimed to have received an anonymous message on his telephone, inviting him for interrogation, urged the court to, among others, restrain the respondents from moving against him. He alleged that the respondents were being used by agents of the ruling All Progressives Congress (APC) to harass, intimidate and persecute him, being a key opposition figure. But the respondents faulted Oladipo’s letter, arguing that his letter could not shield him from investigation and prosecution. “Assuming without conceding that Exhibit 1 (the letter) exists, it is our further contention that the exhibit cannot come to the aid of the applicant because a letter written to the Vice President to return N75 million cannot act as shield from investigation and possible prosecution, rather it is suggestive of corruption, requiring investigation,” ICPC said in its objection to the suit. Other respondents faulted the suit and urged the court to dismiss it on the grounds that Oladipo was merely seeking to hide under a spurious text message, whose source he failed to establish, to prevent statutory established bodies from performing their responsibilities. “It is clear that the applicant has failed to discharge his duty of establishing nexus between the 3rd respondent and the so called witch-hunt of APC against him. “The applicant, in anticipation of possible invitation by the 3rd respondent (ICPC) to answer questions with respect to the N75 million, which, he said, he received from officials of the PDP, has come to this court to twist the arms of the law and challenged the statutory powers of the 3rd respondent in carrying out its constitutional duties and ultimately escape from criminal invitation. “It is submitted that the applicant’s suit is incompetent, misleading, lacking in merit and should be dismissed. We urge the court to so hold and strike out or dismiss this suit,” ICPC said. In his response to the suit, the AGF, Abubakar Malami (SAN), argued that Oladipo only raised unsubstantiated allegation of persecution and harassment against the respondents “on account of funds he received from his party members and is thus seeking to restrain the respondents from performing their constitutional duties”. He denied taking any steps against Oladipo “in respect of money received by the applicant either from party members or other sources”. “Even the alleged invitation by the 2nd respondent (EFCC) did not state that the applicant was invited because of funds, which he received. “The applicant, on his free volition and admission, wrote to the Vice President wherein he offered to return to the Federal Government funds which he received. “Rather than comply with the invitation, if indeed it exists, to clear his name, the applicant, via the instant suit, resorted to engage the instrumentality of the law to stop or frustrate his investigation and possible prosecution,” the AGF said. The judge adjourned hearing to May 19 to enable ICPC file its responses. Punch Newspaper - Minister of State for Petroleum Resources, Mr. Ibe Kachikwu, on Saturday got a tongue-lashing from the national leader of the ruling All Progressives Congress, Asiwaju Bola Tinubu, over his recent comments on the lingering fuel scarcity in the country. The former Governor of Lagos State took a swipe at the minister, who is also the Group Managing Director of the Nigeria National Petroleum Corporation, for saying he was not a magician who could end the scarcity of Premium Motor Spirit, also known as petrol. 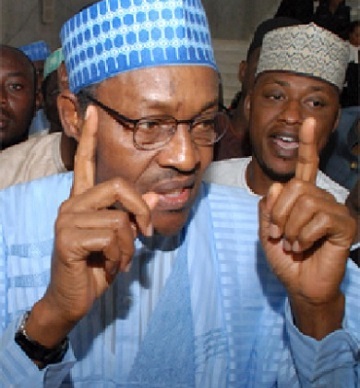 The APC leader stated that the minister was answerable to Nigerians and not the other way round. Kachikwu had on Wednesday, while speaking with State House correspondents shortly after he led a joint delegation of the Petroleum and Natural Gas Senior Staff Association of Nigeria and the Nigeria Union of Petroleum and Natural Gas Workers to meet with Buhari at the Presidential Villa, Abuja, said since he was not a magician, the fuel queues could not be eliminated with a magic wand. He added that despite the efforts being put in place by the Federal Government, fuel queues might not be completely eliminated until about two months (May). The minister noted that with the reality on the ground, it was by sheer magic that the country had the amount of products it currently had at the filling stations. However, Tinubu, on Saturday, stated that there might be no economic matter more difficult to unravel and more sensitive to the purse of the average person than the current fuel scarcity. The APC leader said despite that, he was confident of progress because he knew the commitment of the President to resolving the issue. “I make no attempt to hide it. I am an avid and partisan supporter of this government and of the progressive policies of the party, the APC, upon which this government is based,” the ex-governor stated. 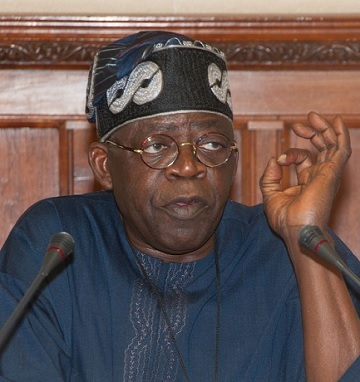 Tinubu added, “With that, I do reserve the right and the duty as a Nigerian to voice my opinion when I believe a member of this government has strayed from the progressive calling required of this administration. I do this because my greater devotion and love are for this nation and its people. Party and politics fall secondary. “Much public ire has been drawn to the statement made by the Minister of State (for Petroleum Resources) Ibe Kachikwu that he was not trained as a magician and that basically Nigerians should count themselves fortunate that the NNPC under his stewardship has been able to bring in the amount of petrol it is currently doing. “Perhaps the statement by Kachikwu was made in a moment of unguarded frustration or was an awkward attempt at a joke. Whatever the motive, it was untimely and off-putting. The remark did not sit well with the Nigerian people; they were as right to feel insulted as the minister was wrong to have said such a thing. “The fuel shortage is severely biting for the average person. They are forced to remain in lines far too long — for too much time — to pay too much money for too little fuel. This is no joking matter. Livelihoods and people’s welfare are at stake. Saying Kachikwu’s intervention was unhelpful, the APC leader said it rather panicked and disappointed the public as to the duration of the crisis. “It insulted the people by its tonality. He spoke with the imperious nature of a member of the elitist government the people voted out last year and not the progressive one they voted in,” he added. The ex-governor said the NNPC GMD must also remember that he does not own the corporation and that the NNPC was not a private company that owes nothing to the public except the duty of fair dealing. Tinubu added, “He is a public servant. The seat he sits upon is owned by Nigerians, not by him. The company he runs is owned by Nigerians, not by him. They are his boss. He is not theirs. Power is vested in the people. He is a mere custodian or agent of their will. “In talking to us in such a manner, he committed an act of insubordination. If he had talked so cavalierly to his boss in the private sector, he would have been reprimanded or worse. If wise, the man should refrain from such interjections in the future. The APC leader noted that as Kachikwu’s portfolio was a strategically important one, the minister needed to re-establish the correct relationship with the public. He said Nigerians no longer felt Kachikwu was working for their optimal benefit as their servant. “Instead, he seems to be standing above them, telling them to take it or leave it,” Tinubu added. The politician stated that for the minister’s policies and stint in office to be successful and of help to the government, he (Kachikwu) must have the support and belief of the people at this tough time. Tinubu said the NNPC boss must talk to them in a way that they believe he seeks their best interest and understands the hardship weighing upon them. “He must ask them to work with him and, perhaps, to endure a bit longer but with the knowledge that he is working to resolve this matter as fast as he can and as permanently as possible; that he is dedicated to the position that once these current lines are gone, never again shall they reappear, as long as he has any influence in the matter. “To do this requires no magic or training in that strange craft. It requires empathy, compassion and the willpower to forge a better Nigeria. These must be the common trademarks of those serving in a progressive government, for these attributes are integral parts of the spirit and ideals upon which the APC was founded,” Tinubu added. When contacted, the Director, Press and Public Relations, Ministry of Petroleum Resources, Mr. Idang Alibi, told SUNDAY PUNCH that the ministry had yet to see the statement by Tinubu. He stated that the ministry would wish to react to it when it gets the statement and promised to get across to Kachikwu and respond to our correspondent. Also, calls to the mobile phone of the Group General Manager, Group Public Affairs Division of the NNPC, Mr. Garba Deen, were not answered. A detailed text message sent to him was also not replied. Up till the time (8.53pm) of filing in this report, no response was received from the ministry and the NNPC. The scarcity of petrol has lingered since January, as hundreds of motorists besiege few filling stations that dispense the product on a daily basis. Kachikwu’s comment had drawn heavy criticisms from various stakeholders, including the organised labour, petroleum marketers, oil industry workers, manufacturers, experts in the oil sector and the latest from Tinubu. The Trade Union Congress had specifically asked Kachikwu to resign instead of giving Nigerians excuses on why it would be impossible to get fuel easily in the country before June. The TUC, through its President, Mr. Bala Kaigama, said the positions occupied by the minister were too demanding for him and urged Buhari to appoint a new GMD for the NNPC. Kaigama stated, “If he is not a magician, he should resign now. What we are saying is that Nigerians are getting impatient with him. Similarly, the Nigeria Labour Congress had described Kachikwu’s statement as unfortunate. The General Secretary of the NLC, Dr. Peter Ozo-Eson, said it was wrong of any agent of government to resign himself to a position that would subject Nigerians to months of long fuel queues. He said, “As far as we are concerned, one day of queues is unacceptable to Nigerians and the hardship Nigerians have been subjected to, through the queues over a long period now, is actually something that should be condemned. Also, workers in the oil and gas sector on Wednesday said they were at a loss as to what was really the cause of fuel scarcity in the country. The workers, who spoke under the aegis of PENGASSAN and NUPENG, stated that the minister should be questioned on the development.